Jack De Nicola appears completely at ease at The Lobster. His casual energy matches everything about the restaurant, which is situation at the entrance to the iconic Santa Monica Pier. Originally from New York, Jack ran several restaurants there before moving to Los Angeles, where he opened Tribeca in Beverly Hills. Then in 1999 he met the partners who own The Lobster – they were at a critical turning point – they owned the restaurant but needed someone with the right mix of vision and management to run it. Jack was the perfect fit, and he has been there ever since. Jack’s first goal with the concept was to create something that Santa Monica locals would enjoy. “If you figure out how to get the locals in, the tourists will follow,” he says. 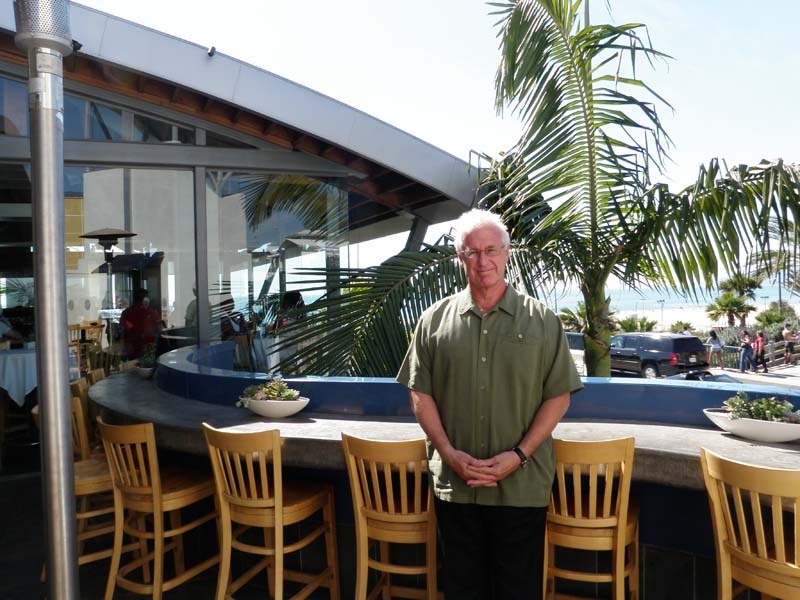 Jack’s marketing approach for the Santa Monica local residents is based on “4-walls marketing,” or making sure that everything within the restaurant was excellent. From the food to the service, everything that happens within The Lobster’s four walls has to be of the highest quality with an easy-going, not too stiff approach that matches the location. All outside marketing efforts, mainly advertising, are focused on the tourist trade. The Lobster enjoyed an excellent run from 1923 to 1985, at which time it closed. The 900 square foot seafood market style restaurant sat unused for over a decade, becoming an eyesore. By the time Jack came on the scene, local restaurateur Warren Roberts and property owner Mike Nathan had come to an agreement to develop the property. After extensive renovations, The Lobster opened on July 20, 1999, and, according to Jack, has been successful since Day 1. A source of pride for Jack is that 40% of the crew is the same since the day The Lobster re-opened in 1999. With 97 employees serving about 125 seats in the dining room and 40 at the bar and a constant stream of both local and tourist trade, The Lobster has regained its former glory. The best part of running The Lobster, says Jack, is the people – the crew and the guests. “In this business, if you don’t like dealing with people, then you can’t do it.” The hardest part is the necessity to repeat the same activities day in and day out in the same consistent manner meeting the exacting standards of their clientele. “If I had to choose one word to sum up this business, it would be repetition,” says Jack. This means that any small but chronic problems will be repeated day in and day out unless specific and targeted action is taken to correct them. Jack knows a lot about fun – he grew up in a traditional Italian household. One memory that he shared was the time when a traveling salesman came to the door during dinner and ended up joining his family for the meal. It was a family of cooking and celebrating, and it was natural for Jack to end up in the hospitality industry, including working as a cook in a large kitchen and as a server at resorts. This entry was posted on March 21, 2010 at 3:27 am and is filed under Uncategorized. You can follow any responses to this entry through the RSS 2.0 feed. You can leave a response, or trackback from your own site.